While your regular editor of the keepswinging blog is recovering from yet another hand surgery that prevents him from using his fingers at the computer for a couple of days, I was asked to fill in an entry. And why not post some lines on a subject that might cheer up and add help to a soon recovery of our dear friend? 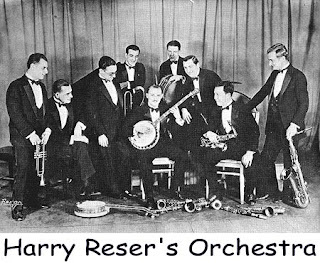 Banjo virtuoso Harry Reser (1896-1965) was one of the busiest and most prolific bandleaders and session men of the 1920s. 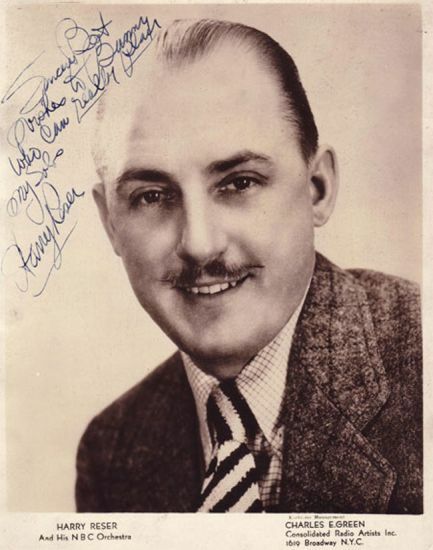 His massive recorded output was released under numerous pseudonyms, among them The Six Jumping Jacks and The Cliquot Club Eskimos probably are best known today. 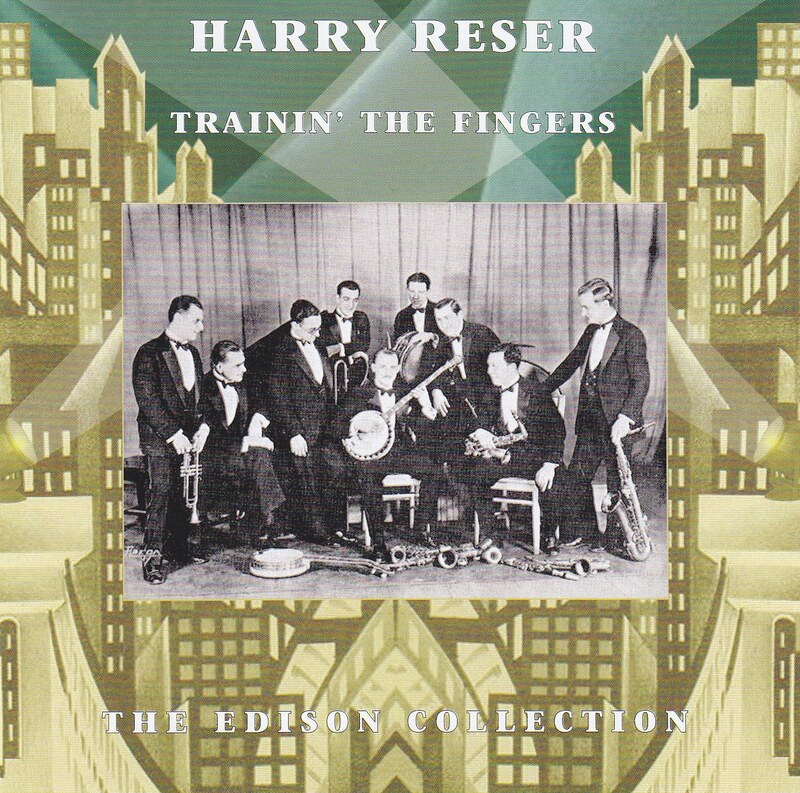 However, in 2008 Document Records brought out a cd featuring 18 recordings by Harry Reser and his orchestra on the Edison label. 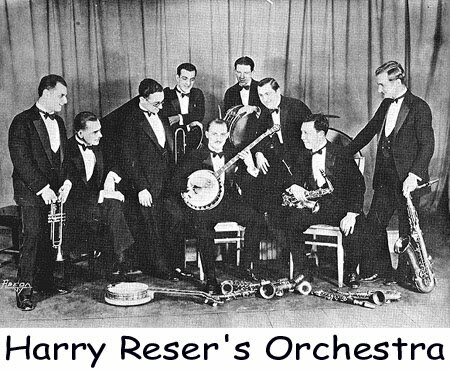 The eighteen recordings at the disc are recorded between 1925 and 1929 and cover both band performance of light hearted popular tunes of the period and examples of Harry Reser's phenomenally nimble artistry as an instrumentalist in banjo-piano duets like "The Clock and the Banjo," "The Old Town Pump," "Lollypops," "Heebie Jeebies," "Trainin' the Fingers," and "Jade." 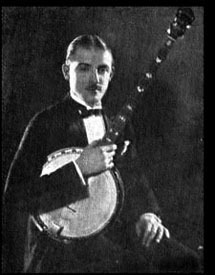 The band sides on the disc have sparkling and humorous reading of tunes like "Wait'll It's Moonlight", "Paddlin' Madeline Home", "Hi-Ho The Merrio! ", "Fire! 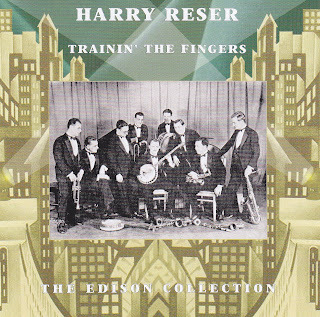 (An Alarming Novelty)", "Horses" and "Highways Are Happy Ways"
Harry Reser is justly considered one of the greatest virtuosi on the tenor banjo ever, and his compositions for that instrument of novelty ragtime inspired pieces still challenge other devoted followers to keep training the fingers. To end this, here's an example of Howard Alden trying to cope with Reser's gymnastics in the well known "Lollypops"